While a soundbar is typically used for your TV rather than your phone, I often use mine one to blast music when I’m doing chores around the house. 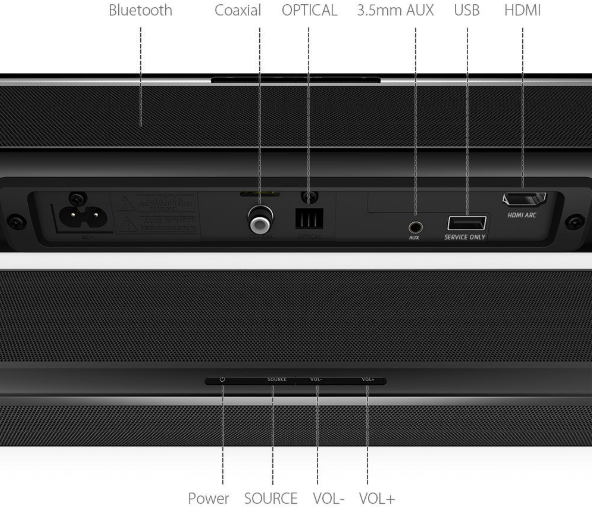 BlitzWolf’s Soundbar is a 60W beast that’ll do that job admirably. In addition to an HDMI port, it’s also got your standard USB, Coax, Aux and Optical inputs, making it a breeze to insert into any audio setup. It should be noted, though that there are no RCA (Red and White) inputs, meaning it won’t be quite as simple to connect to legacy devices. At 36″, this soundbar is no dainty flower. That’s a full 6″ longer than Amazon’s solution, and plenty more power (36W vs. 60W). 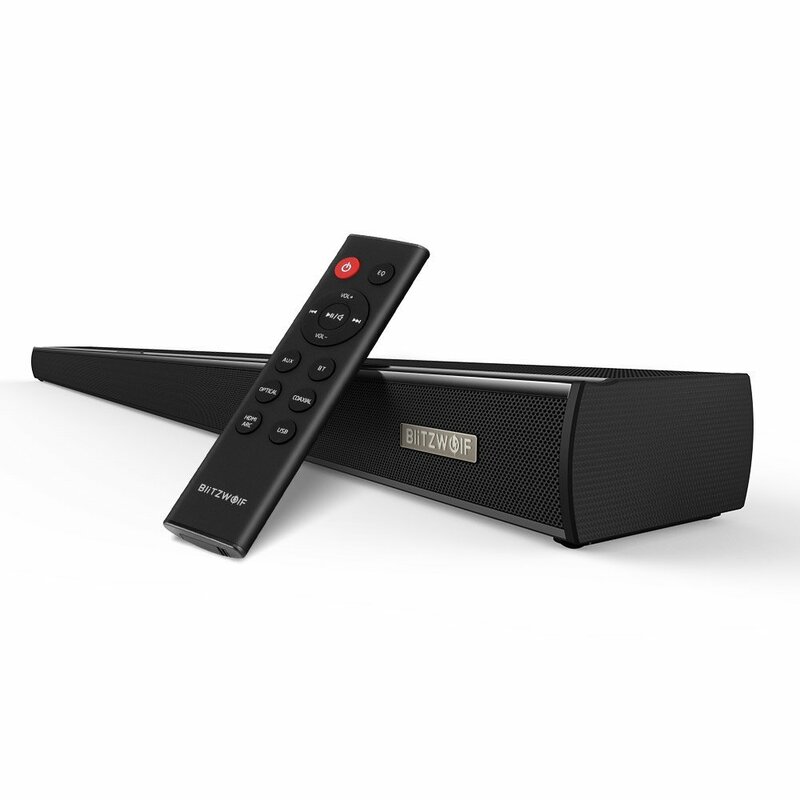 BlitzWolf’s soundbar pounds sound out hard with six full-range speakers and two bass diaphragms to create an immersive experience. Bluetooth 4 makes it incredibly easy to connect to the bar wirelessly, perfect for starting up a song right when it tickles your fancy. On the software end of things, BlitzWolf has paid some attention to detail by adding sound profiles; specially tuned equalizer settings for various types of programming you might watch on your TV. This includes News (focusing on voices), Sports (focusing on depth of sound), Music (obvious), and Movie (enhanced bass) modes. 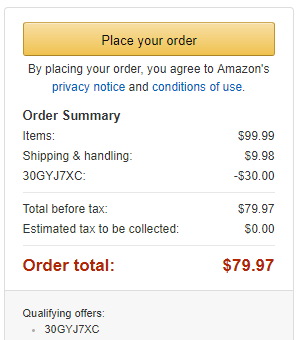 At $99, the BlitzWolf soundbar is a tad more expensive than the AmazonBasics one, but specs-wise, it appears to be worth it. With the coupon code 30GYJ7XC making it just $70, though, there’s no contest – BlitzWolf takes the cake. Buy one today!